This is a very hot topic that gets taken down off the net repeatedly. You’ll soon understand why. It’s one of the most diabolical, wickedly-intended and insidiously communicated subversive influences in society. Here’s a good starter article on the subject and I added a collection of examples at the bottom. Wiked-pedia deleted the topic as have others, or cleverly buried the information. Yup, they control Wiki too…surprise! Not. 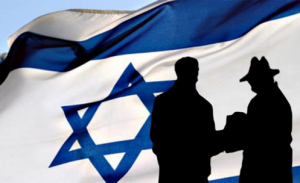 Sayanim – Israeli Operatives in the U.S.
From 1981-1985, this U.S. Navy intelligence analyst provided Israel with 360 cubic feet of classified military documents on Soviet arms shipments, Pakistani nuclear weapons, Libyan air defense systems and other intelligence sought by Tel Aviv to advance its geopolitical agenda. Agents differ from assets and sayanim. Agents possess the requisite mental state to be convicted of treason, a capital crime. Under U.S. law, that internal state is what distinguishes premeditated murder from a lesser crime such as involuntary manslaughter. Though there’s a death in either case, the legal liabilities are different—for a reason. Intent is the factor that determines personal culpability. That distinction traces its roots to a widely shared belief in free will as a key component that distinguishes humans from animals. “Operating as an adjunct to the Israel lobby as both a fundraiser and a member of Congress, Emanuel has long served as a loyal sayanim (Hebrew for “volunteer”) in support of policies pursued by Tel Aviv.” ~ Jeff Gates: Rahm Emanuel: Barack Obama’s Sarah Palin? Explains a lot, doesn’t it? Yet they’re the ones who have the world on the hunt to kill off imaginary al qaeda cells. That’s usually how it works – the guilty always boldly blame and persecute the innocent, attaching their own attributes to them. Watch for it. Age old ploy.